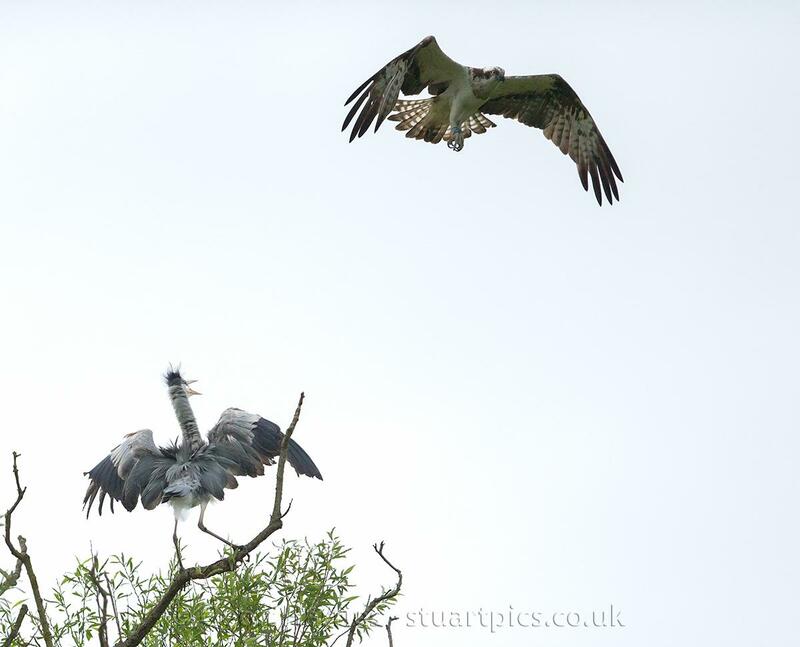 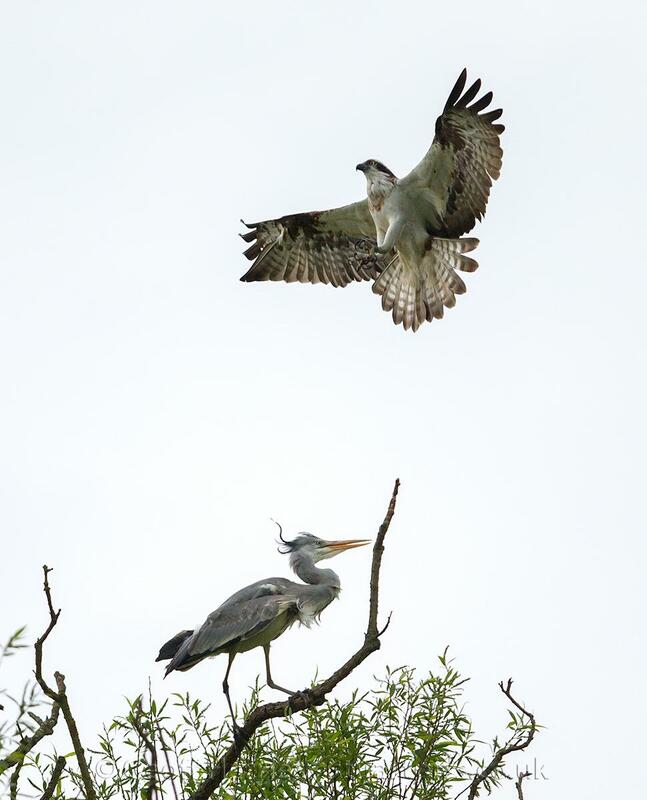 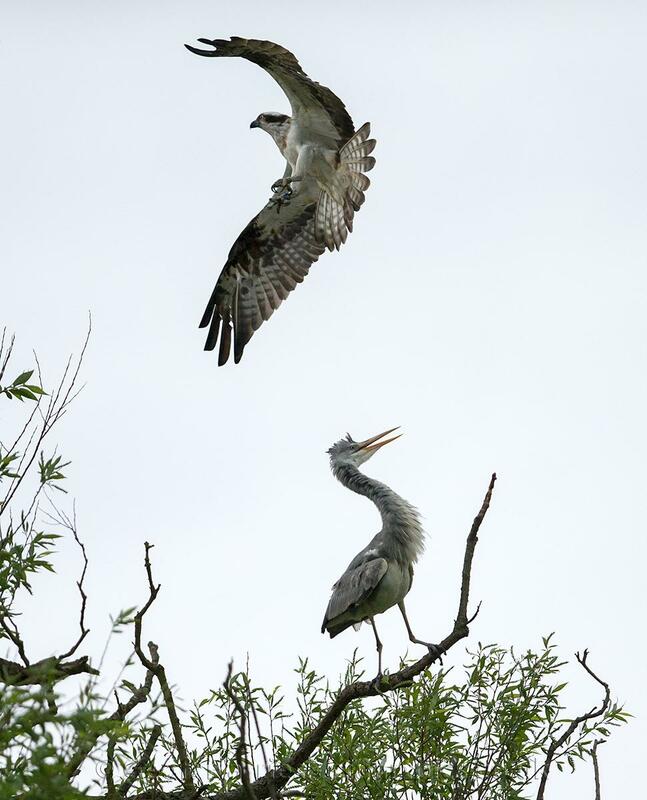 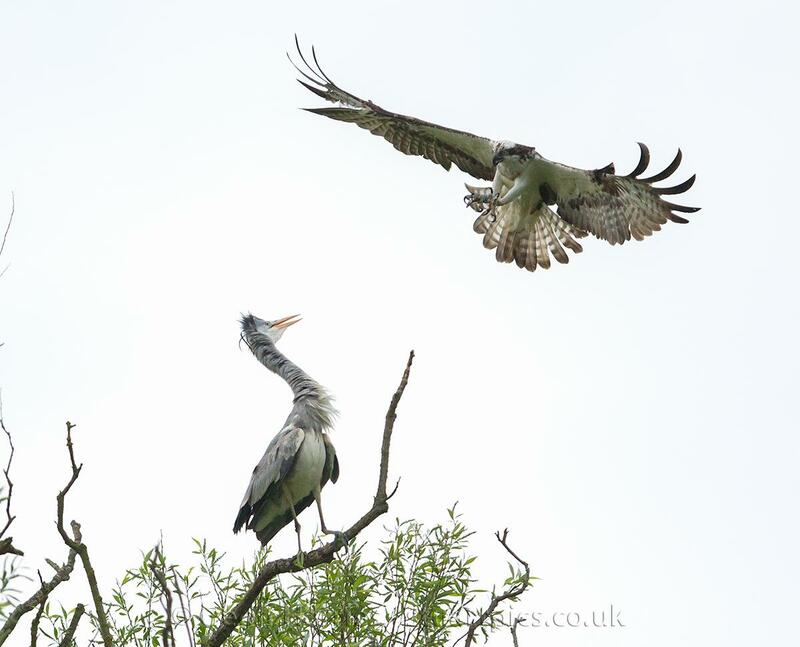 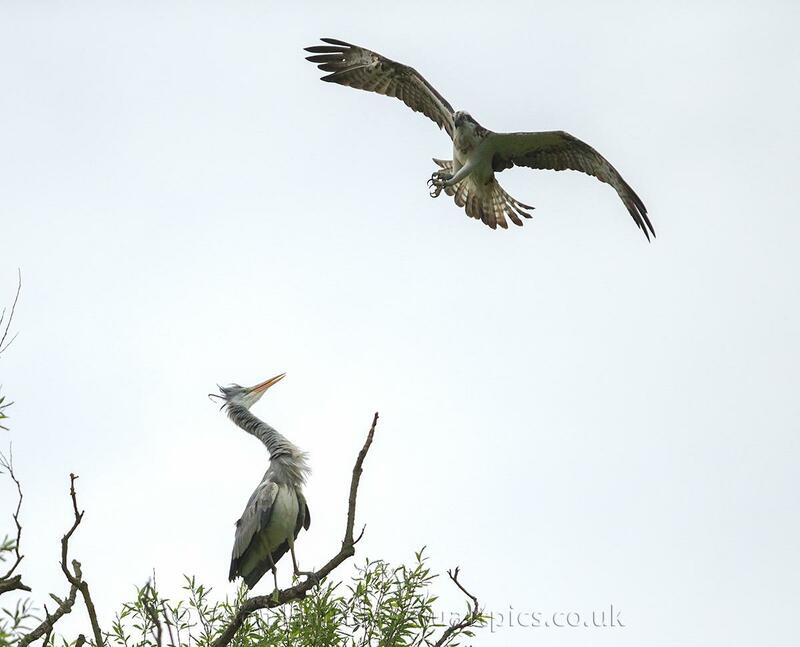 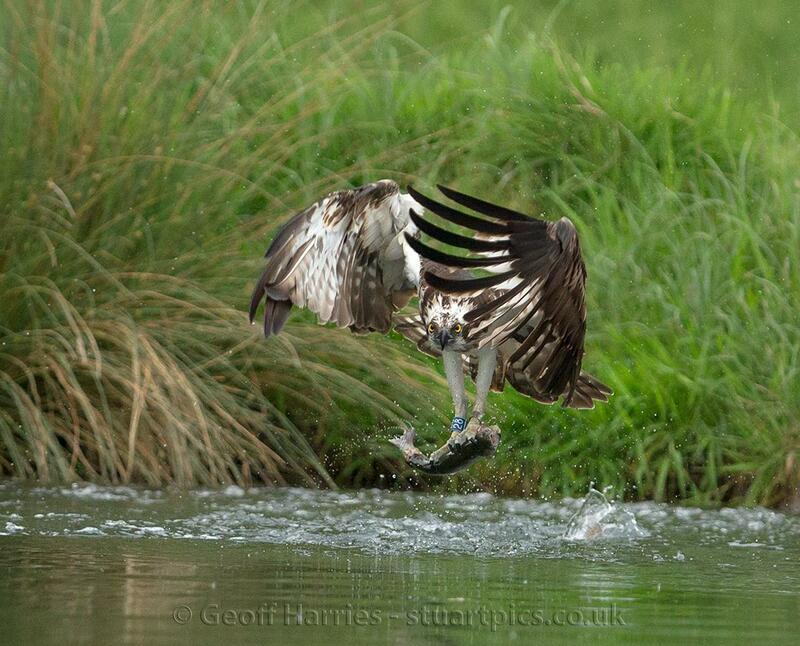 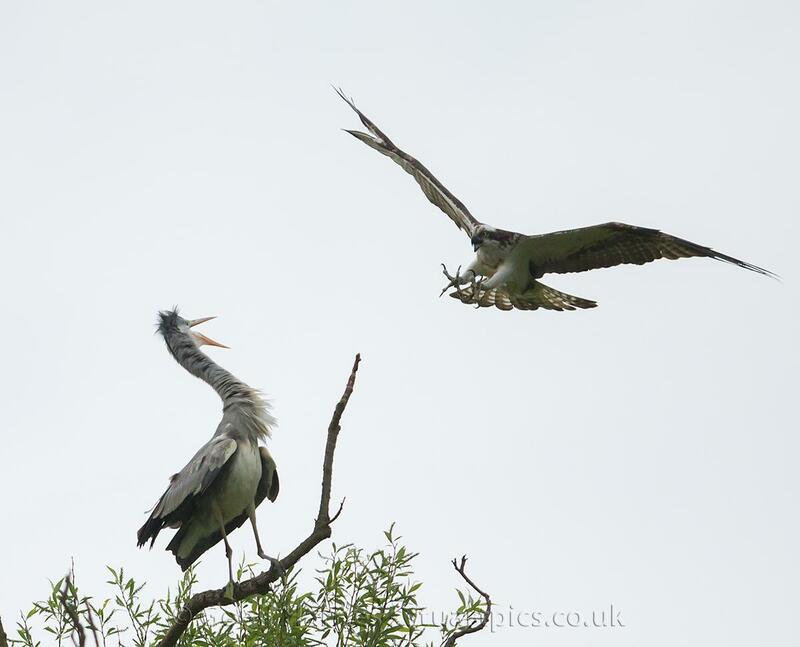 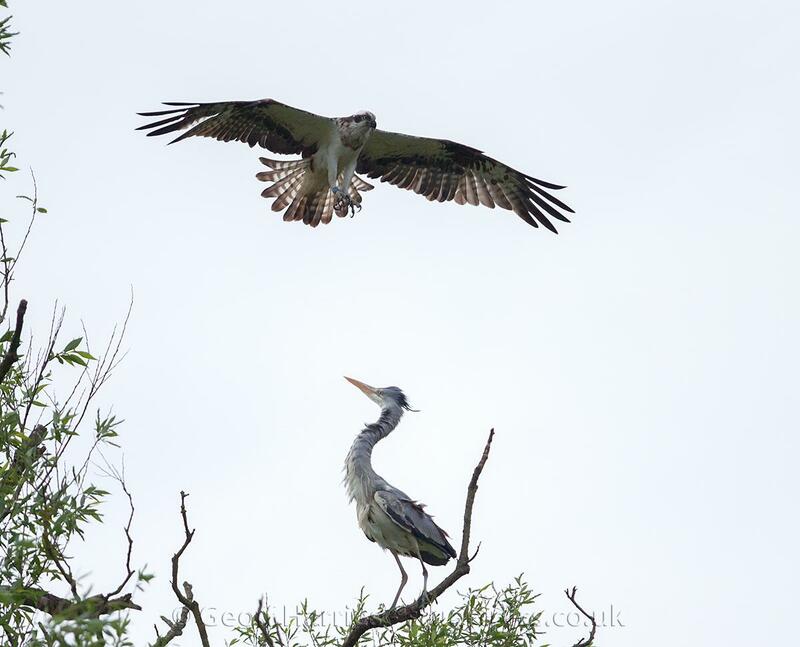 What an unexpected and exciting event with an osprey and heron doing battle over a fishing perch. 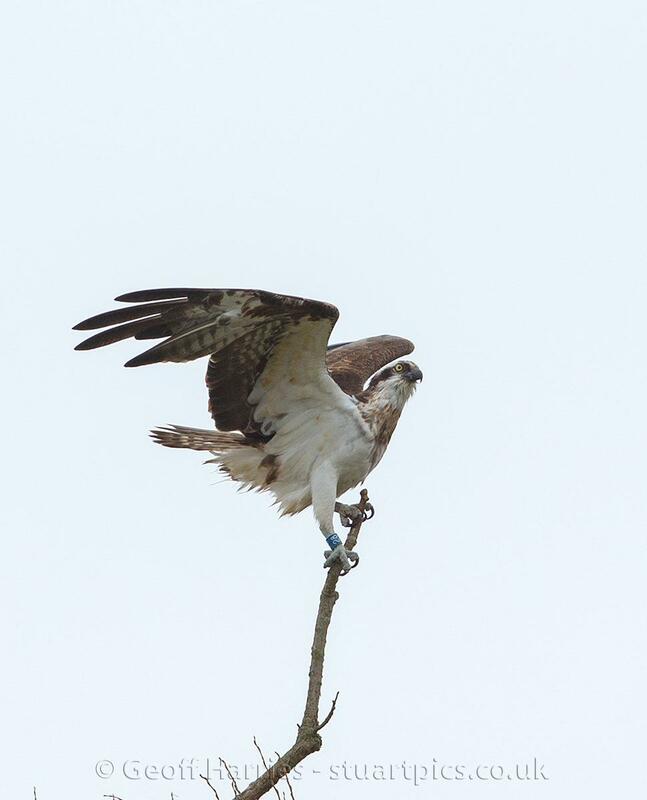 Osprey 28(10) was perched ready to dive and catch a fish when a heron swooped in and knocked him off his perch. 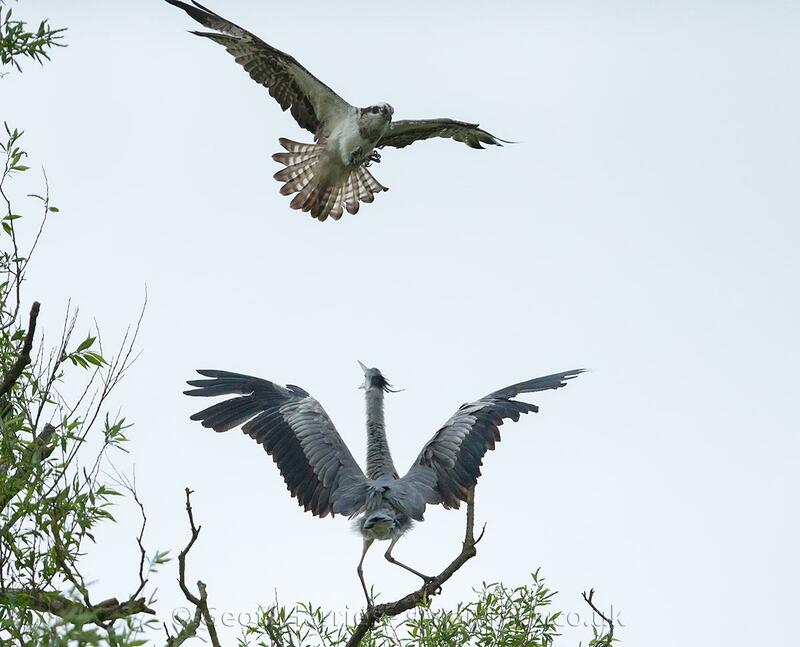 I expected the osprey to fly off, but he went into fight mode and aggressively dive bombed the heron getting closer and closer until the heron left the perch. 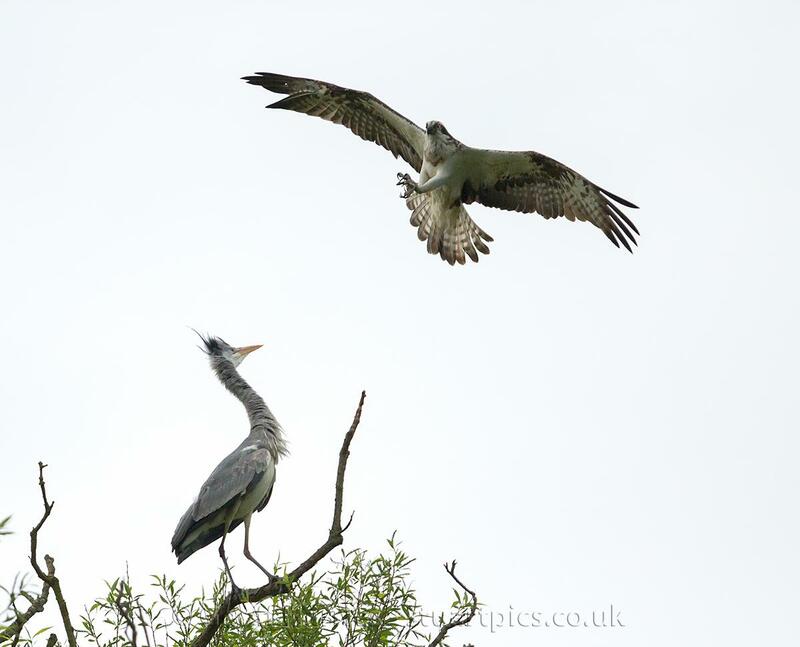 Osprey 28(10) continued to chase the heron from the area before returning to the contested perch, dive and catch a fish, what an experience.